Yeah, I know, I know, it was supposed to be a prince. But I said no to gender discrimination. 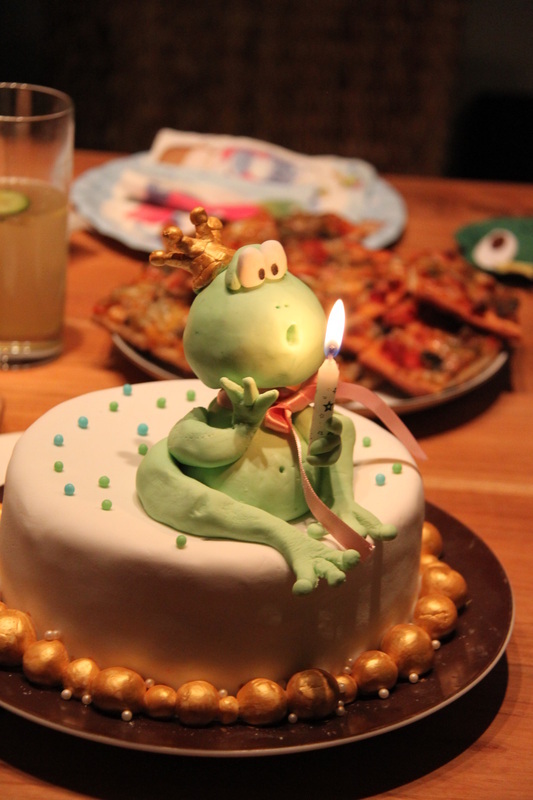 Mainly because I fell in love with a frog cake I saw on Google images years ago. And, luckily for me, the free tutorial on how to make it appeared online just weeks before my daughter's first birthday. 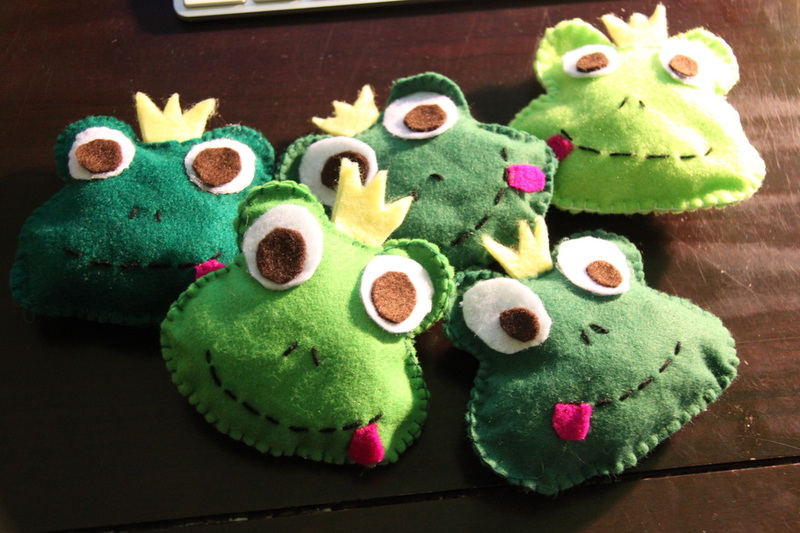 You call this a sign, I call it a Princess Frog party theme. To make the rattle, and keep it flat, I hot glued together two plastic bottle caps with little rice between them. Makes a cheap and indestructible rattle that sounds well. The rest is stuffed with polyfill. I used hot glue to glue the felt eyes and crowns, cause I was in a hurry (with my cake falling apart and all), but it would probably be nicer if you use blanket stitch for all parts.